Swap your circular, traditional clock for this Black Flip Clock With Chrome Stand to update your look and refresh your room! 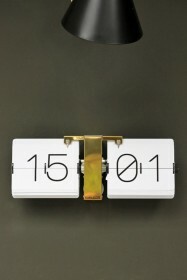 Available in white with a brass stand or in black with a chrome stand, these clocks are great for the office or bedroom and can be hung on the wall or used free standing. 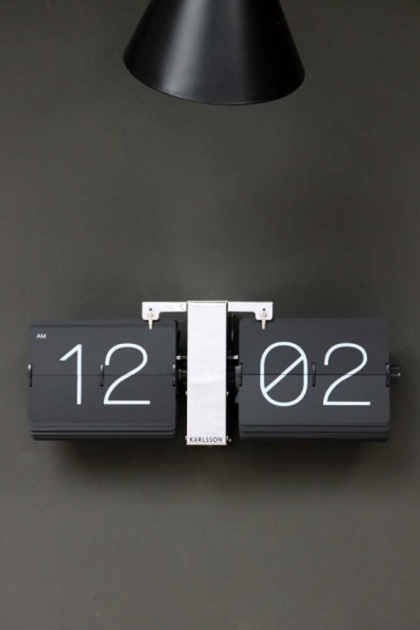 This clock is battery powered and measures 36cm x 8.5cm x 14cm.